New, better and improved!!! 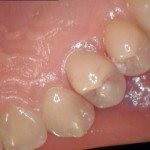 Traditionally when a crown was needed where aesthetics and strength were a concern, porcelain fused to metal (PFM) crowns were our #1 choice. The strength came from the metal, and the porcelain stacked on top of the metal gave the crown it’s tooth color. 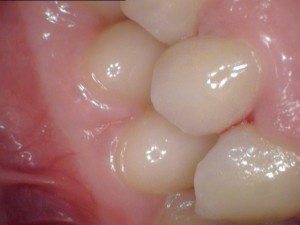 PFM crowns get their strength from the underlying metal. 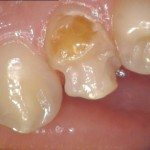 Unfortunately, as the crown ages, the metal can show, or on a bright sunny day, when the light hits the tooth, you can see the difference. 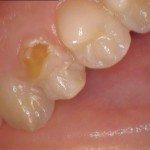 Have you ever noticed a tooth that has a “gray line” along the gum line? That may be the metal showing through underneath the porcelain. We now have another option to offer our patients. 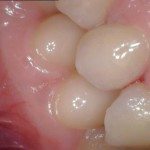 E.max crowns are designed to give the strength of a traditional PFM, WITHOUT the metal. 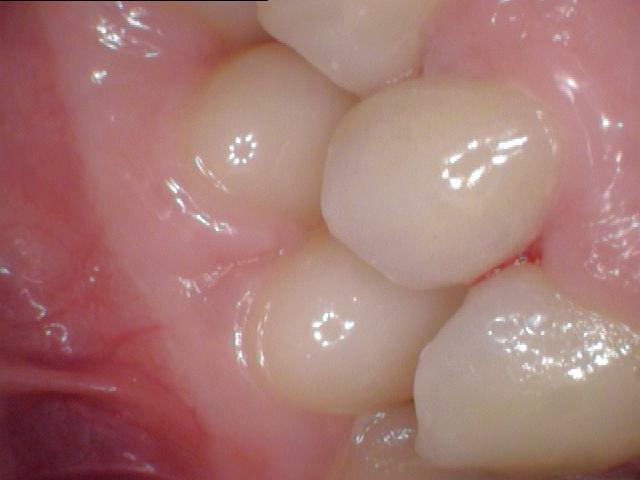 Here is a case we recently did at Seasons of Smiles Dental. Tooth #5 fully restored. It’s hard to see the difference between the natural enamel and the e.max. “click” on the photo to see it up close. In this case, a young lady came to our office with a beautiful smile and 27 perfect teeth. There is only one tooth that needs help, to give her a perfect 28 out of 28. In her case, the enamel layer of the teeth never developed properly. 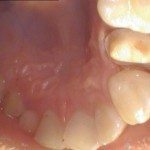 The first two photos show what the tooth looked like before. 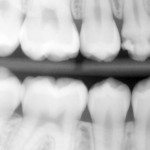 In the third photo or X-ray, you can get a better idea how much tooth is defective. The fourth photo shows where all the defective outer layer of the tooth has been removed. Photos 5 and 6 are the “after” photos, where the e.max crown has been glued on. I love photo #6, the way the light reflects off the tooth. Gorgeous!!! You may “click” on any photo to go through the slideshow. A special thanks go out to Microdental, our lab in California. The tooth needs help from all sides. Compare it to the tooth #4, right next to it. This is an interesting x-ray. It shows the overall health of all her teeth, except #5. Tooth #5 has the enamel layer removed, “prep” the tooth. Tooth #5 with it’s crown newly cemented. Tooth #5 fully restored. It’s hard to see the difference between the natural enamel and the e.max. Press on any photo to go through the slideshow. Do you have a tooth that needs a little help? Give us a call at Seasons of Smiles Dental at (207) 236-4740. Hello ดัดฟัน, Greetings to Paknam Bangkok. We appreciated all comments from the dental community. Thanks for stopping by. Hello dental in singapore, I enjoyed visiting your website http://www.scottsdentalcentre.com.sg. I have never been to Singapore, maybe someday I will get to visit their as well. Give my best to Dr. Siow and Dr. Tan. We appreciated all visitors from the dental community and their web designers.